Variety: 100% ?ssyrtiko. 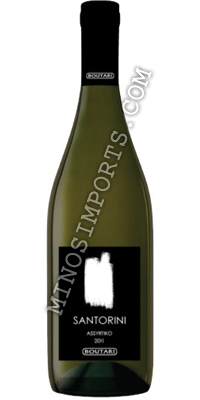 Santorini Boutari is a wine with a particular metallic tinge that fully expresses the character of this variety. 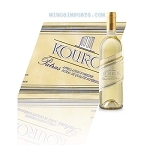 Characteristics: Yellow-white colour, with aromas of exotic and citrus fruits, green apple, peach and grapefruit. A refined wine, zesty, with an intense metallic character, a rich body, wonderfully balanced taste and a long and strong aromatic aftertaste. Food Pairing: Combined perfectly with seafood and fish. Can also be served with chicken and white meats. Served at 10-12°C.